No matter where pimento cheese dip was first concocted, it has found a home here in the South. And thanks to an orthodontist who retired early due to a back injury, it has found a home here in Greensboro. After experimenting for years to capture the flavor of a beloved friend’s pimento cheese, Cheryl has finally settled on a recipe. 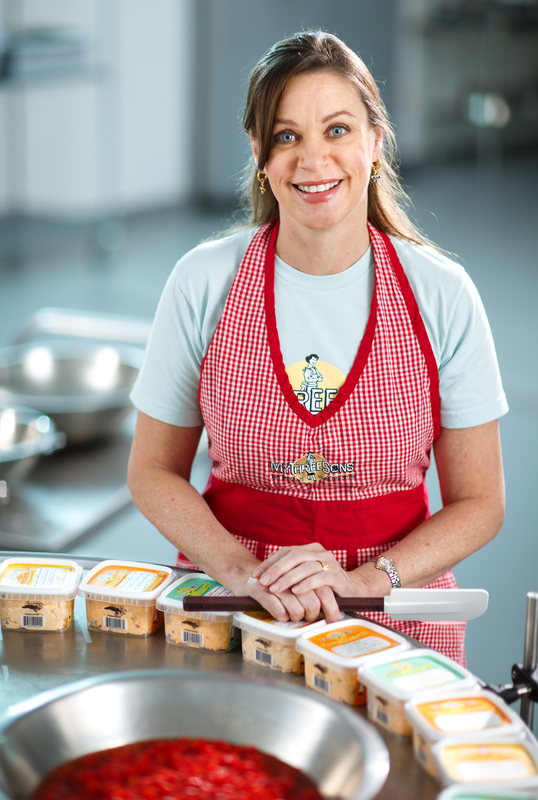 Her dream of having a little pimento cheese factory was about to come true. On a whim, Cheryl, now 50, called Greensboro-based The Fresh Market about the possibility of bringing in a sample. After an interview and going through a tasting committee, My Three Sons Gourmet Pimento Cheese was born. It made its debut at The Fresh Market in October 2010. It sold out immediately! To grow My Three Sons Gourmet, Cheryl had to get out of her home kitchen. She found a home at the Nussbaum Center for Entrepreneurship in Greensboro before graduating and settling into a permanent “pimento cheese factory” in Greensboro. My Three Sons Gourmet now has eight employees and can be purchased in over 300 stores including The Fresh Market, Lowes Foods, Whole Foods and Harris Teeter all over the Southeast.